Emma awakes with no memories other than what her husband, Declan, tells her. The only problem is that her dreams and the voice in her head feed her glimpses of other memories that also include another man. Conflicted about her past, Emma is forced to uncover the secrets of her former life without raising suspicion with Declan. In a future where women are a rare commodity, Emma fights for freedom but is held captive by the love of two men--one her husband, the other her worst enemy. If only she could remember which is which. . . . The first novel in a two-part series, "Archetype" heralds the arrival of a truly memorable character--and the talented author who created her. Look for "Prototype," the second novel from M.D. Waters, coming July 2014. M.D. WATERS lives with her family in Maryland. "Archetype" is her first novel. Its sequel, " Prototype," will be published in July 2014. "I love reading debut novels because I want to find the next awesome author that's going to shake up the reading world. And that's what is going to happen with M.D. Waters's first book Archetype, coming out in Feb 2014. Twenty pages into the book I knew I wouldn't be getting much sleep until I finished every last page and re-read a few more. It will probably be categorized as sci-fi, and it is, but it's not too far off from the reality we all can understand. Oh, there are some changes, and you learn more about them as you go, but really, you will just fall into the complex storyline and puzzle along with the heroine as she tries to figure out what exactly has happened to her life. This is a high concept, high adventure, steamy love story with plenty of action and violence. I am still dreaming about the characters, which makes me very happy to have learned that the author's second book will be coming out in July 2014. I will absolutely be the first person in line for it." "M.D. Waters has given us that rare and wonderful action heroine who possesses both nerve and emotional depth. That rich characterization combined with an intricately crafted sci-fi mystery made Archetype an enthralling debut that I couldn't put down." "This is one of those unforgettable, breathless books you want all your friends to read." "[A] dazzling debut....This is one of those books that seeps into your consciousness. It breeds discontent. It forces one to ponder the possible 'what if?' "
"A mystifying tale that tiptoes up and grabs you by the throat....With writing that is supremely confident, Waters builds the tension slowly and Emma's doubts and secrets multiply until the haunting explosion of the truth." "Archetype is can't-put-it-down, up-all-night-reading fantastic. Emma is an endlessly fascinating, deeply compelling narrator, and I loved every moment I spent in her head." "A chilling, action-packed futuristic thriller....Like the works of Margaret Atwood, Archetype has kept me thinking about it and the questions it raises long after having turned the last page." "Archetype is a thrilling and engaging story, with lots of plot twists and mysteries to keep readers excited and entertained. I would definitely recommend this book to other readers who enjoy anything from science fiction to romance... this book has it all." 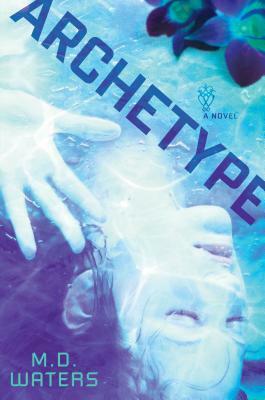 "Archetype is a thought-provoking novel that will appeal to science fiction lovers and romance readers, alike."